The Maori language is the official language of the Maori people who have lived in New Zealand for at least 700 years. Since the 17th century NZ has been under the influence of the introduced European cultures and English became the main language. Only in 1987 became Maori an official language again and there is a bit of revival of the beautiful language at the moment. This was needed as it was on the ‘severely endangered’ languages list for a long time and only recently moved a status up to ‘endangered’. The great thing is that as soon as you enter NZ, you will notice there is another language used here. Besides “welcome” you will see and hear “Nau mai, haere mai” and New Zealand is often called by its Maori name “Aotearoa” which actually means ” land of the long white cloud”. Also lots of the street names, town and cities are using their Maori naming which can give you hours of entertainment trying to pronounce it correctly. For example when you have just arrived in NZ and are driving from Auckland Airport to the city you’ll see names like Onehunga, Pukekohe and Papatoetoe. Do not pronounce them the English way, but pronounce the letters separately so Oh-ne-hun-ga, Poo-keh-koh-he and Pa-pa-to-eh-to-eh. Pretty cool I think! What I don’t understand though is that even though it is an official language, the amount of time spent by kids in the education system learning the language is minimal. My now 14 year old stepdaughter has probably had a total amount of 1 year of maybe a few hours a week at primary school, and did one semester in high school. She now never has to study it again. By the time she goes to university she will hardly know how to count, how to greet people, or even how to say the letters of the alphabet in the second official language of the country she is born in. It’s very sad. In the Netherlands eventhough Dutch is the only official language, English is basically mandatory, and you will be taught another language for at least 3 years in high school, as well as having to pass Dutch of course. Knowing a language helps with understanding the culture. Without really knowing the meaning of the words , how is there ever going to be a fully integrated bi-lingual culture? If they are serious about really rescuing the Maori language, they will have to become more serious about it on the educational level. It all starts with it becoming natural to children. Maori otherwise will continue to be the language of a few. 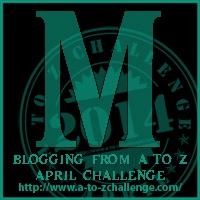 This entry was posted in A to Z challenge and tagged a to z, bilingual, culture, education, language, Maori, nz. Bookmark the permalink. ← Lovely Local food – do you still need convincing? thanks for your comment & I hope you’re enjoying the challenge as much as I am ! Totally agree there is more awareness now. It seems like it can still be much improved though!